Earlier this month, Hamilton Leithauser shared the sweeping ballad “Heartstruck (Wild Hunger),” which features Angel Olsen, and now he’s released a cinematic video to match, which does not feature Angel Olsen, although the lack thereof doesn’t take away from the majesty of the video. A sacred heart burns at the opening of the clip, which then cuts to Leithauser wandering down a deserted Marfa highway at the golden hour, with guitar case in hand. He eventually finds his way into the Texas town, passing by various women taking on Olsen’s marvelous vocals, to perform the song in a nightclub. The plot then circles back to the burning sacred heart, which Leithauser had taken from the nightclub upon departure, and in grand Groundhog Day fashion, history is set to repeat. We were thrilled to get the opportunity to work with Hamilton Leithauser to bring his new single, “Heartstruck (Wild Hunger) feat. Angel Olsen” to life in a way that brings the themes of the song to the forefront in a beautiful and conceptual way. Hamilton is such an incredibly talented songwriter and storyteller that we worked closely with him to craft a visual story that tackles the feelings of heartbreak and longing, the ghosts of lost love that haunt us all at some point in our lives. Hamilton’s character in the video is one we all can relate to, and the desert landscape and western town really helped amplify the isolation that comes marching behind a broken heart. We wanted to use a few symbols throughout—the car, the pink scarf, the burning heart—as constant reminders, the things that you project your feelings upon that you can’t help but notice every time they pass. Most importantly, we really wanted to craft an ending that leaves the viewer with a bit of despair themselves, knowing that this isn’t an A-to-B story, but a circular one. Nothing gets resolved, nothing really gets easier, but you’ve got to keep going. It’s hard, but beautiful in it’s own way. 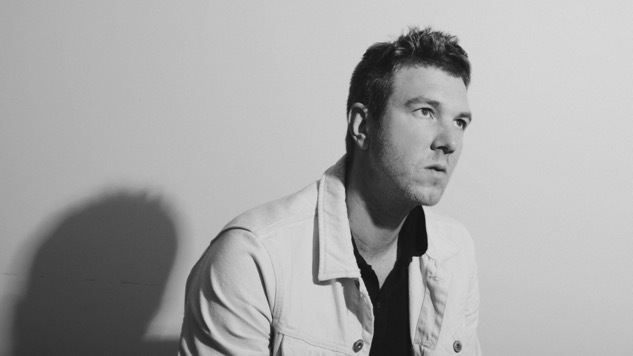 Leithauser recently signed to Glassnote Records, and “Heartstruck (Wild Hunger) feat. Angel Olsen” is his first release through the label. Watch the clip for the song below, and see the theatrical poster for it further down. While you’re at it, listen to a Leithauser performance from the Paste Cloud and see his tour dates here.